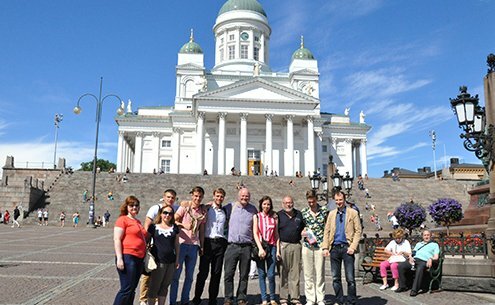 In July and August we acted as a contractor of the International Russian-Finnish Youth Forum “Thousand of Friendship Lakes”, held under the commission of the Committee on Youth Policy and Interaction with Public Organizations. The event was aimed at the consolidation of the Finnish-Russian relations in the framework of a modern and efficient format. We were in charge of the conduction of the event on "a turnkey basis": provision of transport services, elaboration of the program, search for speakers, inviting participants, rental of the sites , and catering. It should be noted that we act as the event planner for the second consecutive year.